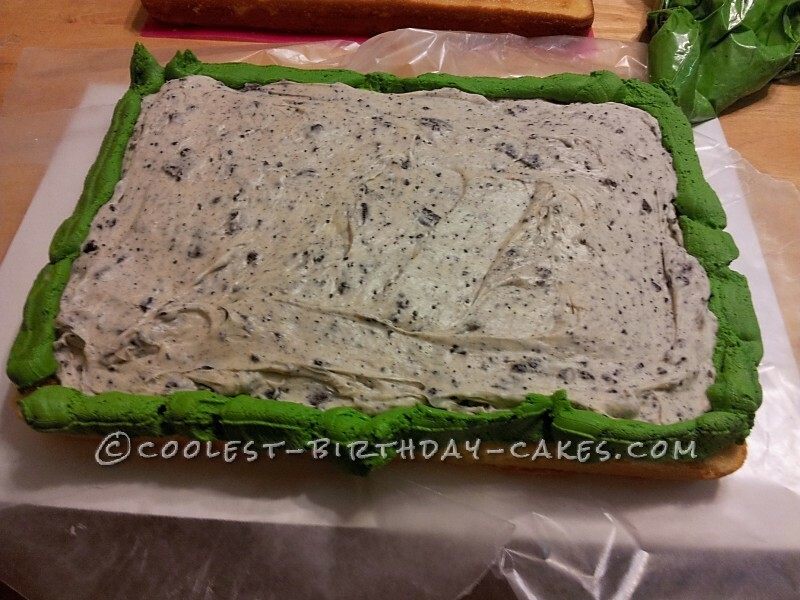 The base of the cake is two vanilla cake layers with a cookies and cream filling and green butter cream frosting. 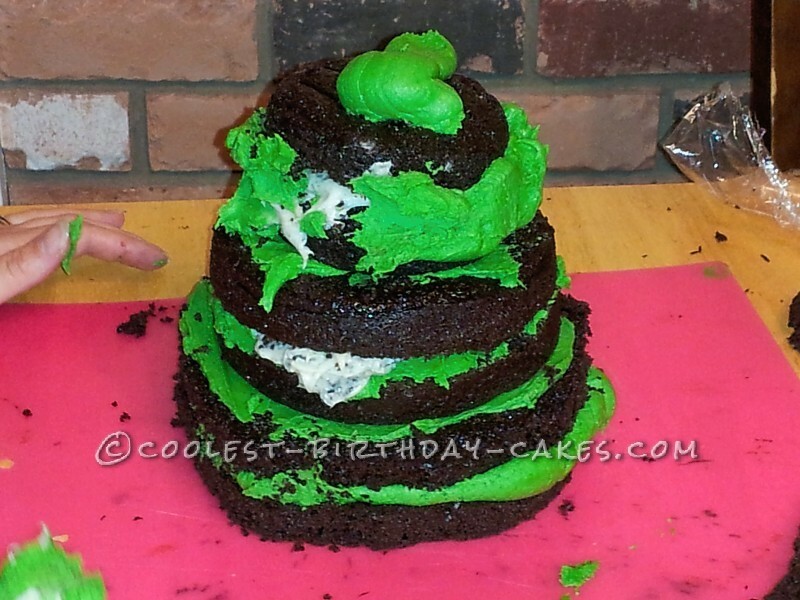 The mountain is three small round chocolate cakes (two layers each) stacked on top of each other with cookies and cream filling and green butter cream frosting. 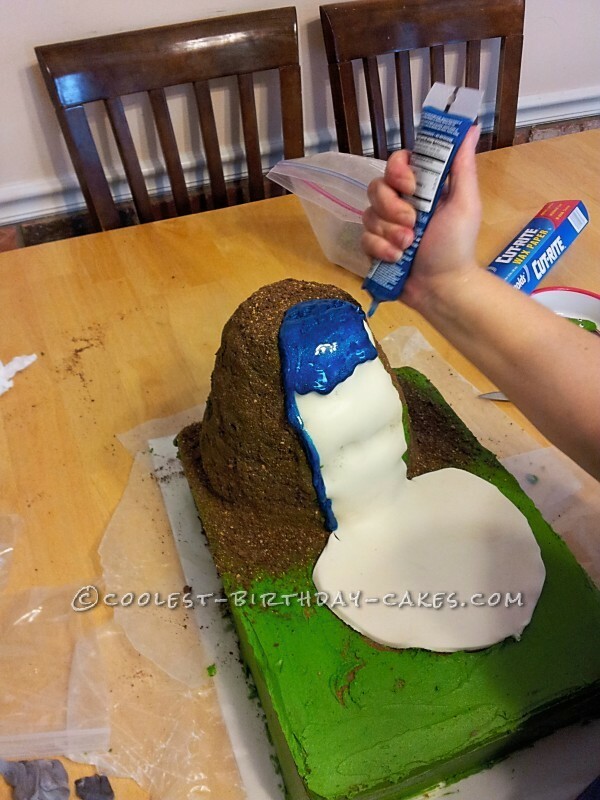 The mountain was then covered with fondant on the waterfall area and crushed chocolate and regular graham crackers on the rest of the mountain. Then I created the waterfall using blue sparkle writing gel. 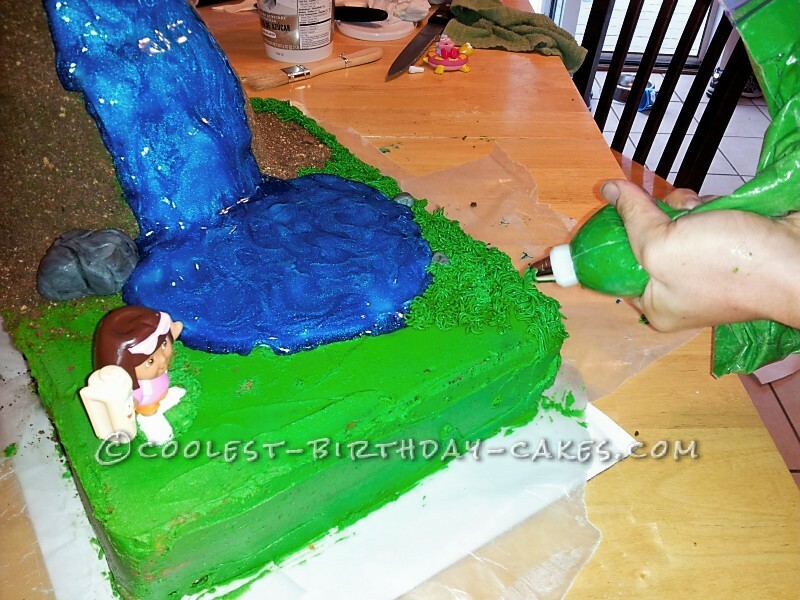 It took 3 tubes of gel to make the waterfall and the pond. 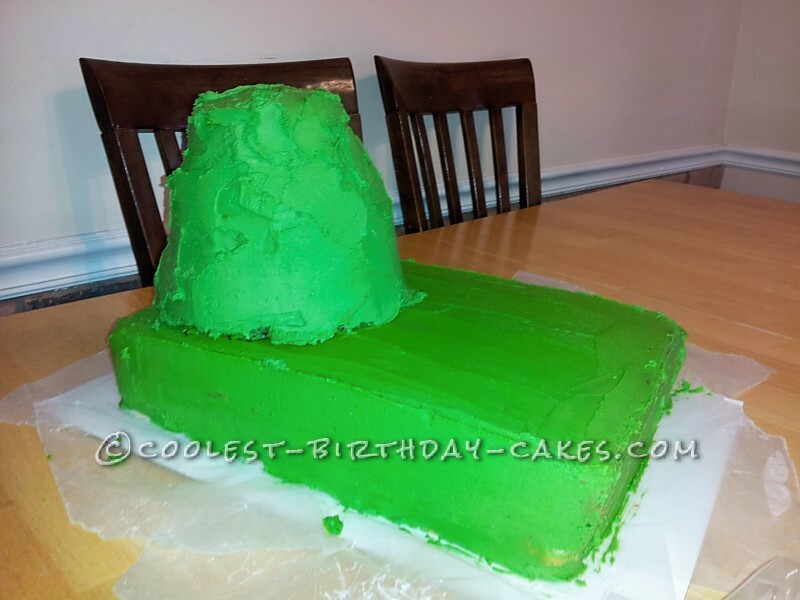 The surrounding area was covered in green butter cream grass. 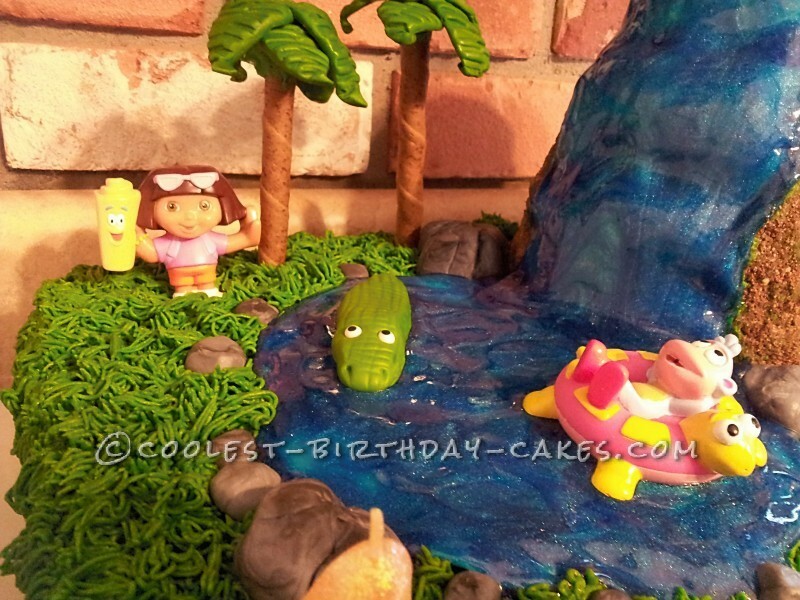 I made rocks and a crocodile out of fondant. 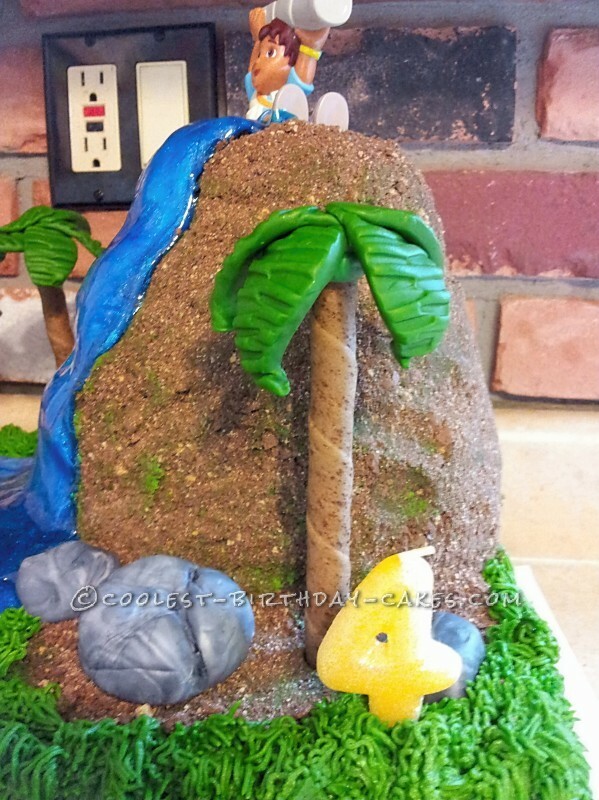 The palm trees were made from cookies for the trunk and fondant cut with leaf cookie cutters and then pressed with a fork. They were put together with toothpicks. 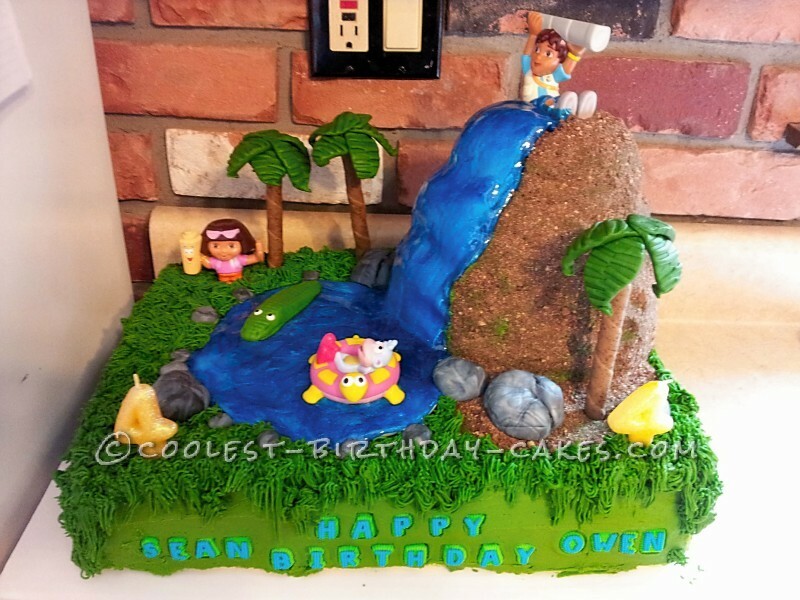 Adding Dora, Diego, and Boots floating in the pond was the final step. 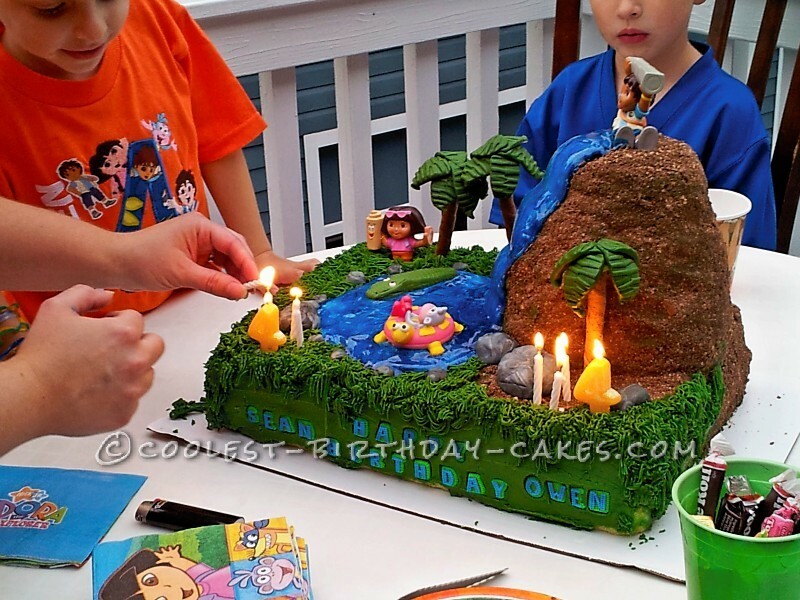 The cake was a big hit and my twins absolutely loved it!